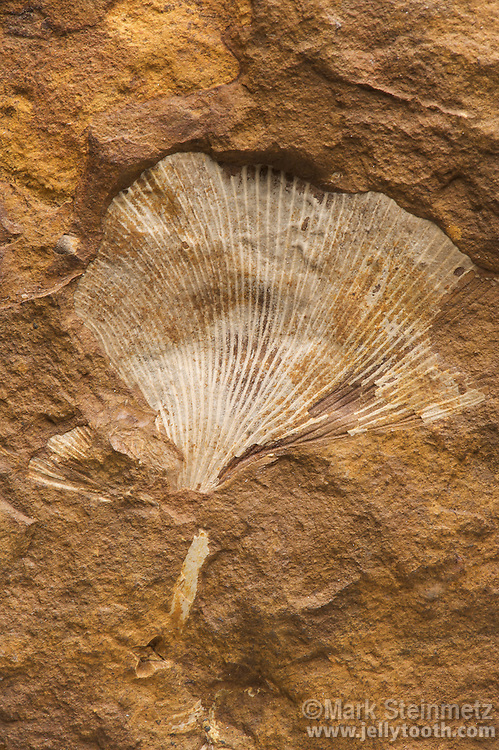 Fossil Ginkgo Leaf (Ginkgo adiantoides). Paleocene. Ft. Union, Morton County, North Dakota, USA. This was the last extant Ginkgo species widely distriuted across the Northern Hemisphere, and largely disappeared from the fossil record except for a small area of China where modern Ginkgo biloba species persist today as "living fossils". It is uncertain whether or not the two may be the same species.